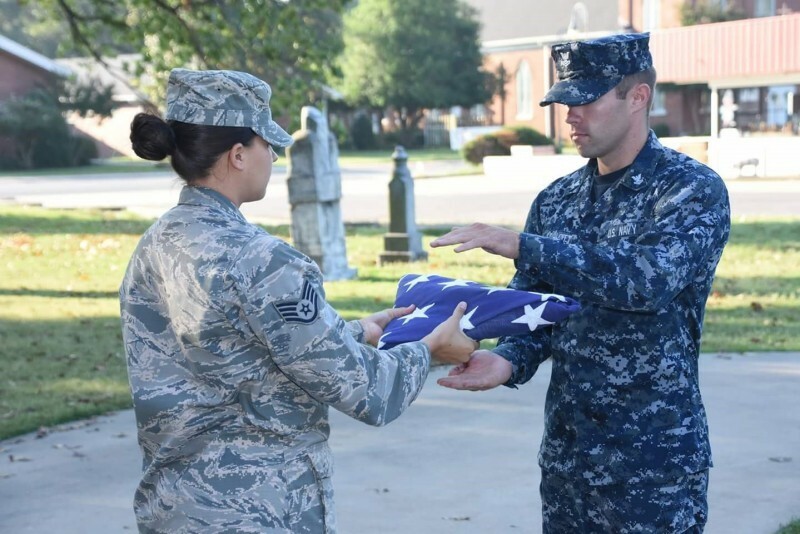 This is the completion of the folding of the flag that was presented to Eastwood Memorial UMC in honor of Operations Health Delta. Just for the record; every one of these men and women volunteered to come here. Not one of them was ordered to come. I cannot say enough good things about these men and women who gave their time to come here. I also cannot say enough about the way the people and businesses of Caruthersville treated our uniformed guests. As Lt. Sticht said, "Mission Accomplished" God Bless.